Black Friday and Cyber Monday: Hoverboard Deals!!! Black Friday and Cyber Monday are right around the corner! To kick off the holiday gift-giving season, we will be updating our site with all of the best hoverboard Black Friday and Cyber Monday sales. We here at My Self Transport want to make sure that you are saving as much money as possible so please check back frequently! In order to understand the meaning of these two days, it is best to know what they are. Black Friday is another name for the day following Thanksgiving which kicks off the holiday gift-giving season. A lot of retailers are open all night on Thanksgiving and open all day on Friday with amazing sales that you will not find at any other time. Since 2005, Black Friday has been the busiest retail shopping day of the year in the United States. 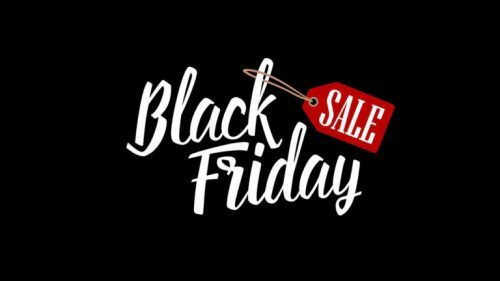 The term “Black Friday” originated from the day where retailers go from being in the red to being in the black as far as profit is concerned. Cyber Monday is very similar to Black Friday but strictly online. The Monday after Thanksgiving is typically when this occurs. Cyber Monday has quickly become the biggest online shopping day of the year. The main purpose of the day is to give the smaller retail websites, like My Self Transport, a way to compete with the larger retail stores. Look no further for great deals! As a hoverboard retailer, we strive to make sure you are fully prepared for these two days. One example of a great deal that you can get is the latest from Swagtron.The Swagboard Twist is an awesome hove board for beginners. It has a self-balancing mechanism which allows even novice riders to get used to a board. It is made of ABS polymer which protects against overheating and even short drops and crashes. Another awesome feature is the twin 250W motors. This helps move the hoverboard in the toughest of riding conditions. The lithium battery can last up to five miles on a single charge. NHT also offers a great sale on one of their best sellers. The Aurora hoverboard has 6.5” tires that can reach up to 7.5 miles per hour. This board also features Bluetooth capabilities which allow you to play your favorite music while on a ride. It also looks fantastic too! It has a futuristic vibe that stands out over other hoverboards on the market. With all that said, it still meets UL 2272 standards when it comes to safety which means you will not have to worry about the board catching on fire. If you are looking for a more budget-friendly option, the Gotrax Hoverfly will all be offered up at an amazing discounted price. This board also has a self-balancing mode where it will balance itself whether a rider is on it or not. Yes, this hoverboard is great for kids but also fits the needs of adults up to 200 lbs. These are just a few of the sales going on for Black Friday and Cyber Monday 2018. It is best to keep checking back with My Self Transport for the latest on the many hoverboard sales you can take advantage of this holiday season. Happy Holidays! You can pick up these great deal items right now. Hope you enjoy your new toy! arrow_backAre hoverboards safe in 2019?